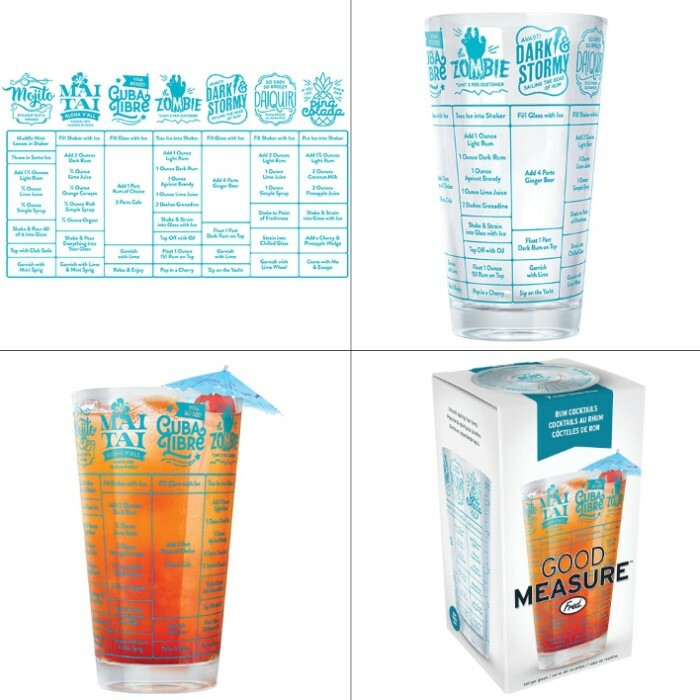 Good Measure 16-oz Rum Cocktails Recipe Glass | BUDK.com - Knives & Swords At The Lowest Prices! 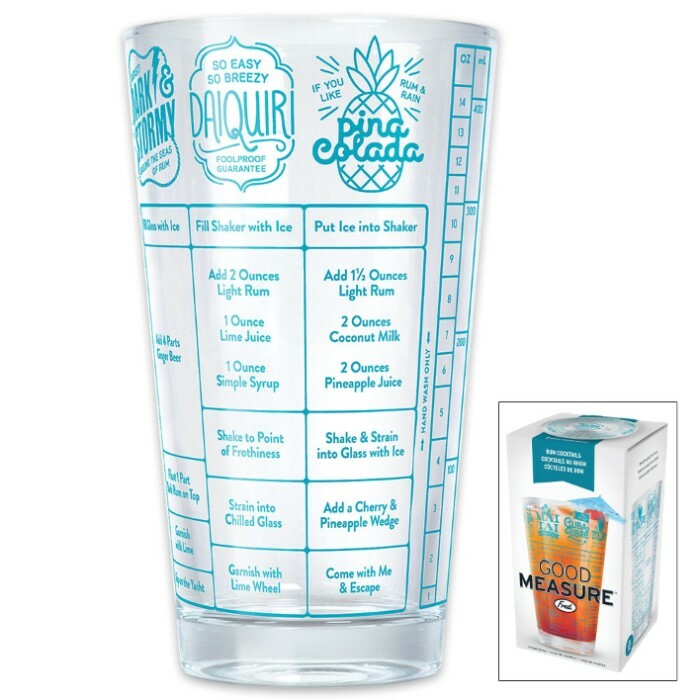 You don’t need to go to Bartending School to be a most-exacting mixologist with the Good Measure 16-oz Rum Cocktails Recipe Glass! Recipes for seven delectable rum-based mixed drinks are printed in easy-to-follow tables on this handy transparent, break-resistant glass. 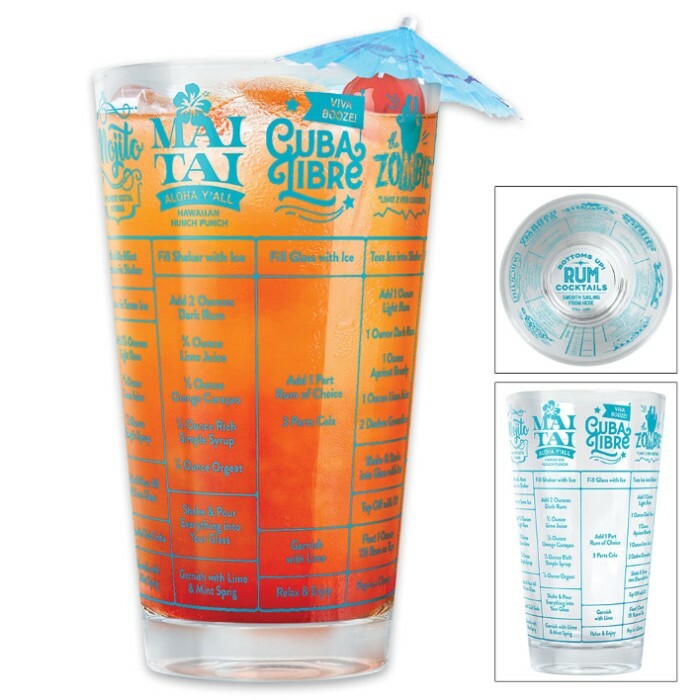 Wield this glass and impress your friends with all your newly acquired boozy knowledge at your next party or social event. It also makes a great gift for drinking buddies and other fellow toddy connoisseurs. As is says on the bottom of the glass, “It’s all smooth sailing from here!” Cheers!